Linda Z. Braden may be a Mason jar enthusiast, but she’s new to the world of Mason jars. She’s making up for lost time by forging new memories with her children and a newfound community of Mason jar lovers she’s successfully cultivated online. 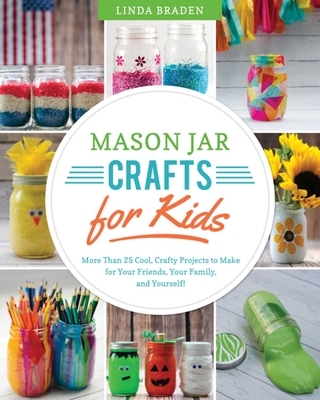 Her Mason jar fan base has grown to more than 25,000 strong on Facebook; she’s received more than 130,000 page views on her blog, Mason Jar Crafts Love; and she’s gathered nearly ten thousand followers on Pinterest. She is forever looking for new and unique ways to incorporate Mason jars into her home decor, holidays, gifts, and parties. She lives with her husband and two children in Chicago, Illinois.